Ever since my honeymoon, I've been kind of obsessed with reading books set in the beautiful islands of Hawaii. I've read fiction and nonfiction, adult books and children's literature. Anything that takes me back to that place and its people and culture. I've found a good number of books that are not only set there, but are also great reads. Or movies. I watched the movie before reading the book, and I have to say I did enjoy the former better than the latter. Though I must say, never have I seen a movie that lifted so much of the dialogue right out of the book it's based on. Both are good. The movie is much richer visually, for obvious reasons, and thus gives a much stronger sense of place. It also developed the land issue that Matt King must figure out (he is the head of a trust that owns a huge piece of land on the island of Kaua'i and must decide whether to sell or not). I just think the visual medium is a better way to tell this story, and I like the characters better in the way they are portrayed here. I love this series, which is aimed at children ages 7-10. 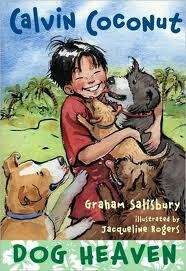 It is set on Oahu, and follows the life of 4th-grader Calvin Coconut (yes, it's his real name; his dad is a famous singer who legally changed their name to Coconut before leaving them). I love that the stories are things that aren't about Hawaiian "issues," they are just about Calving getting into trouble or situations and trying to solve them on his own. And yet the Hawaiian culture is such a part of everything regardless, it doesn't need to be explained to readers who might not be familiar with it. And that might be the thing I love the most about this series. 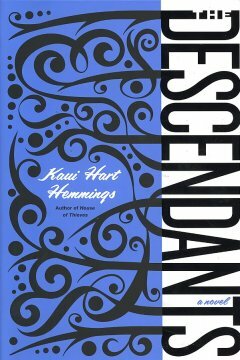 This rich and poignant novel tells the story of Hawaii's history over the course of the lives of seven generations of women. It's a long book, but well worth it—it taught me about the lives of the people of Hawaii during America's seizure of its lands, its annexation, the leprosy plague, and in the late 20th century. It is eye opening and beautiful. 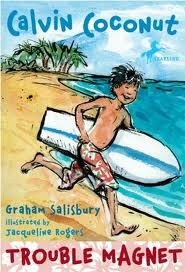 This is a fantastic nonfiction book about Hawaii's history and culture. 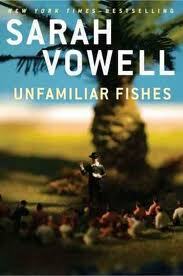 I listened to this on audio, and Vowell was great, though she did take a little getting used to. And now I'm going to leave you with a few pictures from when I was in Hawaii. Do you have any places you like to visit in books? Insanely jealous of your amazing pictures. I'm desperate to go to Hawaii! I love reading books set in places that are tropical like that, almost transports me to paradise! I didn't honeymoon there, but my husband and I took a trip to Hawai'i in 2008 and it was pretty amazing. I loved reading Alan Brennert's wonderful novel, Moloka'i, while I was there to get a sense of history and place. Looks like you did Kaua'i and the Big Island? We spent our time at the latter and it was so fascinating. Yes, we did! 5 days on the Big Island, 6 on Kaua'i, and we spent one day on Oahu. It was amazing. I'd have to say I have an affinity for London (mostly because my family is from there), especially a Victorian London. Books like the The Map of Time by Felix Palma and Dracula really do it for me. But I do have to say, when movies nail the setting and vibe, there really is nothing better than visually seeing in on the big screen. LOVE your pictures! 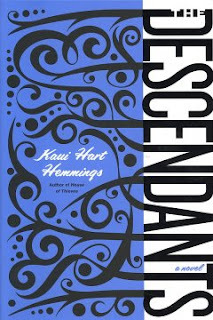 I need to try a book set in Hawaii..that's one setting I've not yet read about! Thanks Jamie! Any of these are great, though I should warn you that Shark Dialogues is pretty heavy. And if you haven't seen The Descendants yet, it's so worth it. Russia, England and Ireland seem to be recurrences on a regular basis in the books I read! I never really thought about it until I read your post. They are the 3 places I desperately want to visit someday in life! Great post about Hawaii too! 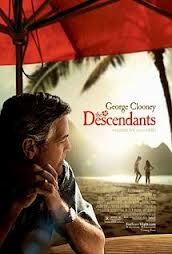 I'm very curious about the Descendants! Beautiful!! Now I want to go to Hawaii even more than before! I went to Barcelona once and fell in love with it. I get so excited when I find books set there now. I love this! My husband is Hawaiian, and I love to read about Hawaii and read books set in Hawaii because of this. The Calvin Coconut series is adorable! I will have to check them out.